As I was discussing the possibility with my husband, I just couldn’t fathom leaving my two young children and my Ayurvedic practice for that long. What would they do without me? Who would _______ (fill in the blank)? My amazing, and very supportive husband smashed any excuse or fear that came up for me. So, with hesitation I confirmed my attendance and purchased my plane ticket! You’ll take your strength and flexibility to the next level. Practicing yoga or exercising regularly can be challenging if you have a busy schedule. But when you’re on a retreat, you’ll have 2 classes offered a day, which will ensure your progress and you will see the positive effects more quickly, physically and mentally. Plus instruction is more specific to a small group and because you get the same teacher(s) all week, they can support you with areas where you are challenged the most, refine what you’re working on and create goals for your return home. You’ll gain a new perspective. Experiencing the unknown and a new place creates an opportunity to see yourself and a new part of the world in a new light. This accelerates your growth and learning. One of my favorite things about the retreat was shutting down the technology. While our resort had wifi, and I was able to video chat with my kids each day, I didn’t feel the need to constantly check social media, emails, and texts. It feels good to unplug. When you have extended free time, it’s a lot easier to just BE and not DO. It feels more natural to breathe deeply while taking in the sounds and sights of the ocean. No cell phone buzzing, boss reminding you about deadlines or kids yelling, “Mom”. You can *actually* be in the present moment. I realized here why the 7 days was so important. It took at least 2 days to settle in and decompress from the everyday stresses and to give myself the permission to truly relax. Being on a retreat will allow you to listen to your body, rest when you need it, walk in the sand when you want, read a book and be free from the everyday responsibilities. You’ll feed your body healthy foods without any of the work! Yes! All the work is done for you! No recipe hunting, grocery shopping, preparing meals or clean up! Cooking is one of my favorite things to do but when you get three delicious, healthy meals a day and you get to RECEIVE, it’s such a blessing. The meals were seated beautifully – those of you who know me, know that I appreciate a beautiful tablescape! I even got ideas for recipes based on what we ate and easily began incorporating them when I got home! Undeniably, you will meet individuals with similar interests. Even if you go alone (which I did), you have a chance to make friends with people from around the world who you might know for the rest of your life. You have an enormous amount of gratitude. A week in paradise is always nice and you will come home with a renewed appreciation for life and the life you have. You are happier, healthier, and re-energized to move easily back into your routine with new vitality! How many times do we create excuses (I did) on why we can’t? Typically because of money or time. You deserve a break. You work hard for a reason and you can always create in life what you want. Eleanor Brown said, “Rest and self-care are so important. When you take time to replenish your Spirit, it allows you to serve others from the overflow. You cannot serve from an empty vessel.” You deserve to invest in yourself. 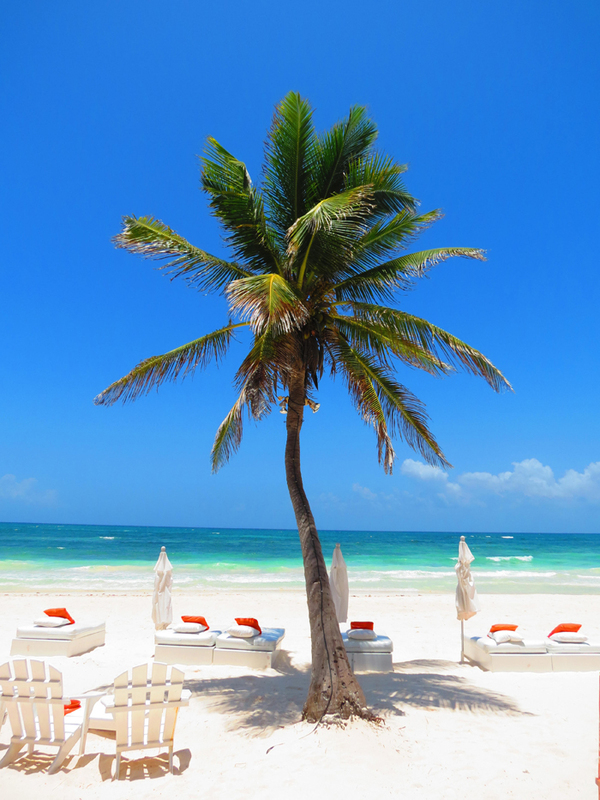 BONUS: Our Retreat to Tulum is two short months away! We have a FEW spots left and I’d love for you to join us for our all-inclusive, 7 night retreat in one of the most beautiful and magical destinations – Tulum, Mexico at the amazing Shambala Resort! You will experience bliss and all of the 10 delightful benefits listed above. With daily yoga, Pilates, and fitness classes for all levels, special workshops, goal-setting, cultural excursions, delicious meals and plenty of time to relax, this retreat will be a dream come true! Register here or email me for more information!